A few of the 2013 Upstarts goofing off and having fun. Photo: Camp Alleghany Archives. In part one of this blog post, I talked about the responsibilities that come with being an Upstart at Alleghany, and the leadership training undertaken by the girls to prepare them for this. What I didn’t talk about, though, was the fun side of being an Upstart, and that’s because I felt like I needed to dedicate a whole blog post to it! Each term, 15s and 16s are in charge of a booth at the carnivals. This can be anything from freeze dance to sack races to dressing up like reindeer and following the “sleigh” (golf cart). 16s also run their own evening activity, designing games and activities in which the whole of camp participates. All Upstarts dress up and go on a trip to into Lewisburg, West Virgina to see a play at the Greenbrier Valley Theatre once a term. The 16s enjoy a whole day off to go to Blue Bend, a great part of the river, just to chill out with their friends and eat snacks alllllll day! If it rains, we make other fun plans. This year we hung out at our Head Hopper Sarah Dunn’s cabin and had an awesome time. All of the Upstarts participate in an Upstart Vespers during first term, which they plan amongst themselves. Some of the 16s go to dinner at Camp Greenbrier, and tour their camp, as part of Greenbrier’s Leadership Academy. All of the Upstarts play a key role in our end-of-term festivities, including Babies’ Boats and Candlelight Campfire. This year we revived an old tradition of having tea at the cottage, with Bonnie hosting (it was formerly tea with Franny, the wife of former director Cooper Dawson). The Sixteens got dressed up and loved socialising with the directors! 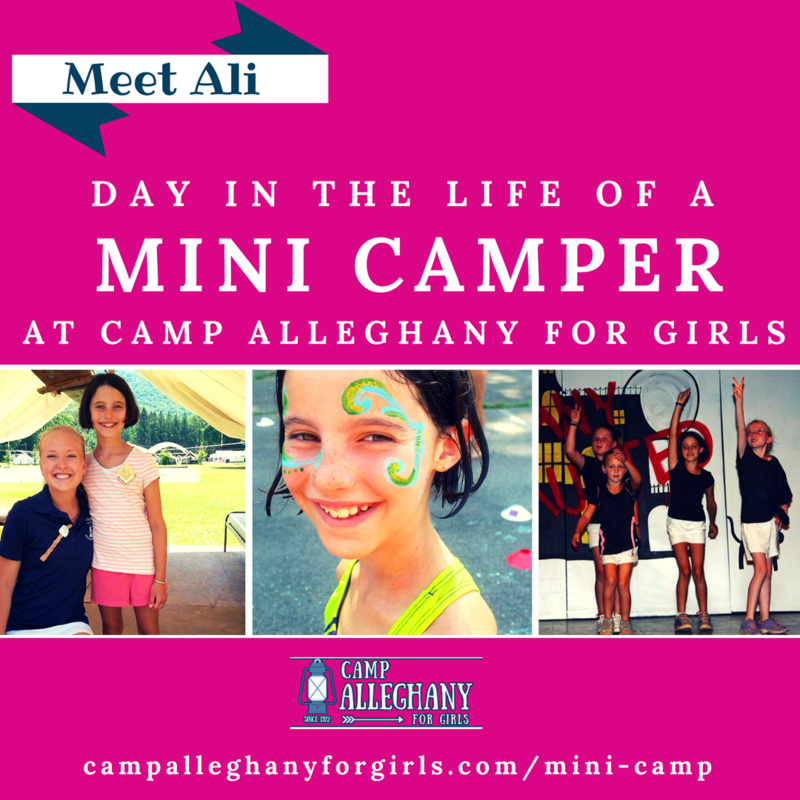 All this is just an addition to the awesome events going on in camp on a daily basis, like Blue/Gray, Hopping and each girl’s camper activities! One of the best parts about being a 15 is that we get to experience upstarting for the first time. 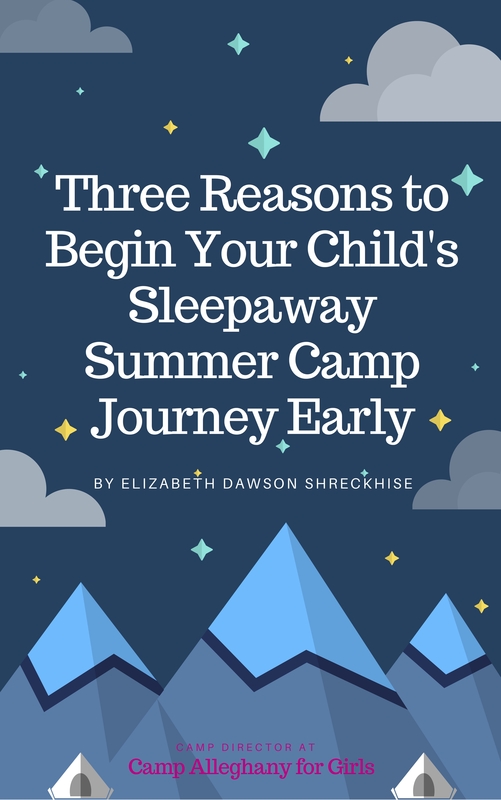 As an Upstart, you get to stay with a tent of younger campers during their counselor’s time off. This gives us a chance to experience some of the responsibility of being a counselor. When we first arrived at camp we were all super excited about being Upstarts. Although it may have taken me a little time to get the schedule down, I eventually got the hang of it and had an incredible experience. Being responsible for other campers for part of the day allowed us to be leaders and set examples for one of the first times in our lives. It is so fun walking past some of the Junior campers and having them run up to you and treat you like they would a counselor. By the end of the term, not only had we formed closer bonds with younger campers, but we also had gained more responsibility. To say I initially had my reservations about hopping would be a complete understatement. I had no experience whatsoever and for the first 48 hours I without fail dropped my tray at every meal; but I stuck with it because what better place to try something new than at camp? When I made a mistake I was able to laugh at myself, confident that others were laughing at me but also with me, and then move on. By the end of the term I had mastered the fine art of waiting tables, an invaluable skill to have in my back pocket, and I had also formed tighter bonds with all 10 of the small but mighty 15’s. …As a full term Upstart this year I learned how valuable friendship is. At Alleghany whether you’ve known someone since you were in unit one or you just met them coming across the barge, there is an automatic bond between you because of the love you both feel for camp. Coming off of 1st term I was terrified. I was with my best friend Peyton and we were both missing our families and our recently departed friends from 1st term. On the first day of 2nd term we were given our tents and told that there were 8 other 15s that would be there for 2nd term. It was a shock to me because I had been used to our large group of twenty-some 15s from 1st term. As the term went on I started to realize that this was the best time I had ever had at camp and it was because of these amazing girls. I was being more myself in front of these girls I had known for 2 weeks than friends at home I had known for years. 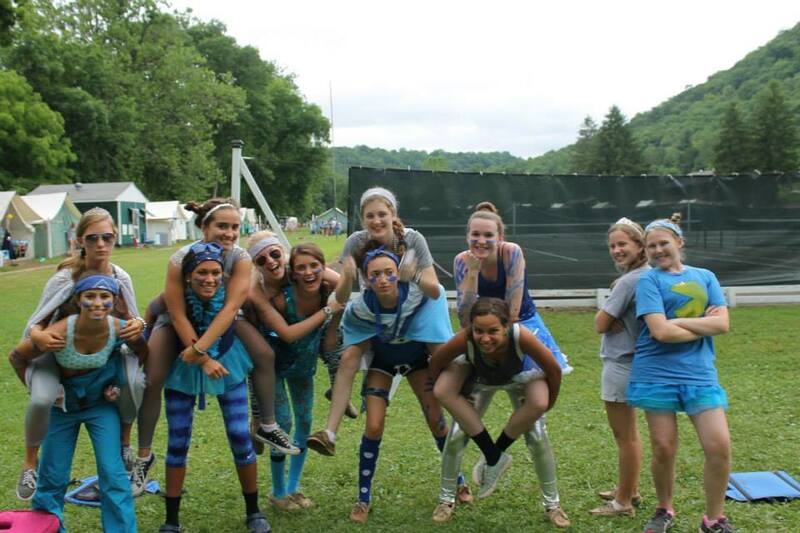 I have made such special friends with these girls and it makes me value camp so much more for bringing us all together. *Register your 15- or 16-year-old camper today.